Many people complain of burnout because of busyness but refuse to make time and prioritize their “me time.” Allotting exclusive time to yourself allows you to recharge and refuel so you can be the best you in your life, your relationships, and your business. To be able to do this consistently and effectively, you have to be strategic and deliberate when establishing good boundaries to protect your me time. 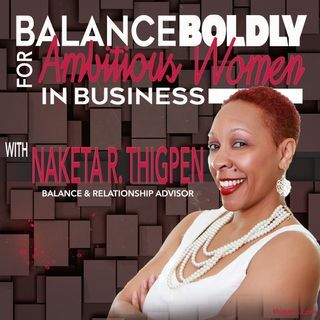 On today’s episode, I’m going to share the different ways to create boundaries so you ... See More can do and accomplish the things that matter the most. I also discuss a system you can use to gauge any diversion and differentiate distractions from urgencies. Since you can’t change anyone but you, I also share specific practices you can try to protect your “me time” at work and at home.